I am still trying to finish the house project I have been fiddling with the last few weeks. I was about to wrap it up when I remembered I had planned to make a better map for the reflection in the windows. 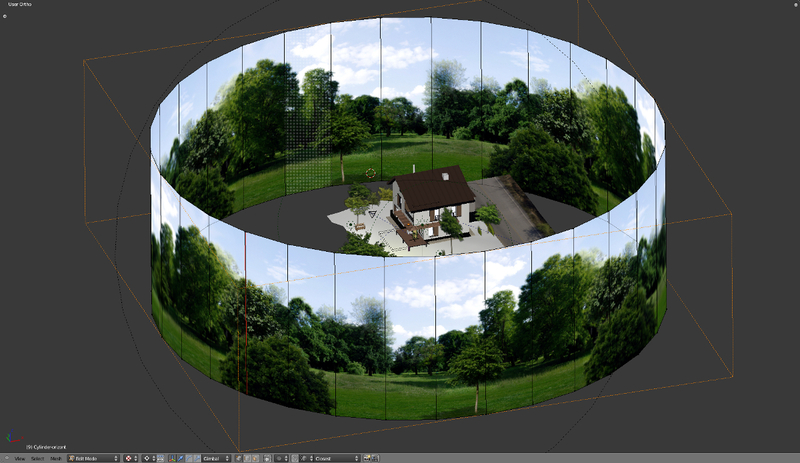 I have a cylinder mapped with sky and trees, and it had to be different from the image I use for the background. Ultimately I hope to find a way to solve both background and reflections in one shot but for now this is how I pulled it off. I love the Internal Blender renderer more each day. I watched the astounding short animated film by Alex Roman featured in the Blender news yesterday and really it is so inspiring… so first let me say wow wow wow! Good morning! Today I don’t have time for an elaborate post but as my girl is toddling happily around the living room and I am drinking my coffee I am reading the news on Blendernation and this morning there is an article about a very good script for integrating V-ray into Blender. V-ray! This is indeed good news for architects using Blender, especially for those rendering interior design images. It seems you only have to buy a 245€ V-ray plugin so that makes it a very good deal indeed. I will post about lighting in Blender soon but just couldn’t wait to get this bit of information in here. 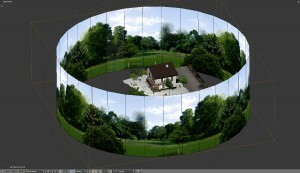 I am downloading the trial V-ray to test it.